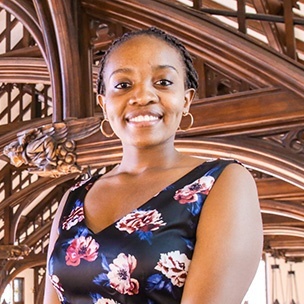 Ruvimbo Mushavi ’17 hails from Harare, Zimbabwe, and majored in international relations with a minor in French. She played on the varsity field hockey team all four years at Mount Holyoke, serving as a co-captain in her junior and senior years. Some of her accolades include being honored to the NEWMAC All-Conference Team, Longstreth/NFHCA New England East Region Team and Longstreth/NFHCA All-America Third Team. 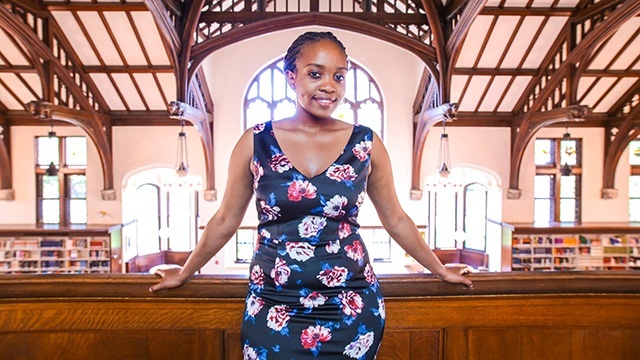 Outside of athletics, Mushavi was a member of Mount Holyoke’s Diversions A Cappella. After graduation, she was selected to be a Global Health Corps fellow and began working at The Grassroot Project, a nonprofit organization in Washington, D.C.